Easy DIY Christmas Crafts nearly anyone can make! 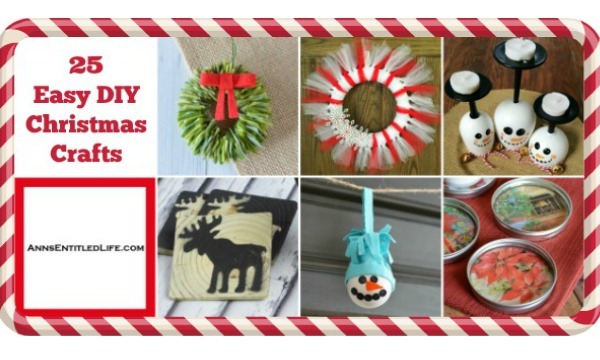 Spruce up your holiday decor with these clever, yet simple to make, handmade Christmas crafts. From adorable ornaments and innovative tabletop decor, to festive soaps and fragrant candles, this list of easy Christmas crafts has something for everyone on your holiday list. The straightforward tutorials provide easy step by step instructions for you to make these creative holiday craft projects. These are generally adult Christmas crafts, although older children – with adult supervision – can make many of them. You know best what your child (or grandchild) is capable of creating – I will say that if I can do it, nearly anyone can… and I am not kidding. Parental supervision is highly advised when using a hot glue gun and/or scissors. Again, your best judgement. Many of these gifts are suitable for gift giving. If you want to forego a bow on a present, why not use a handmade ornament instead? Or both. I am actually adding homemade ornaments to all my gift wrapping this year! 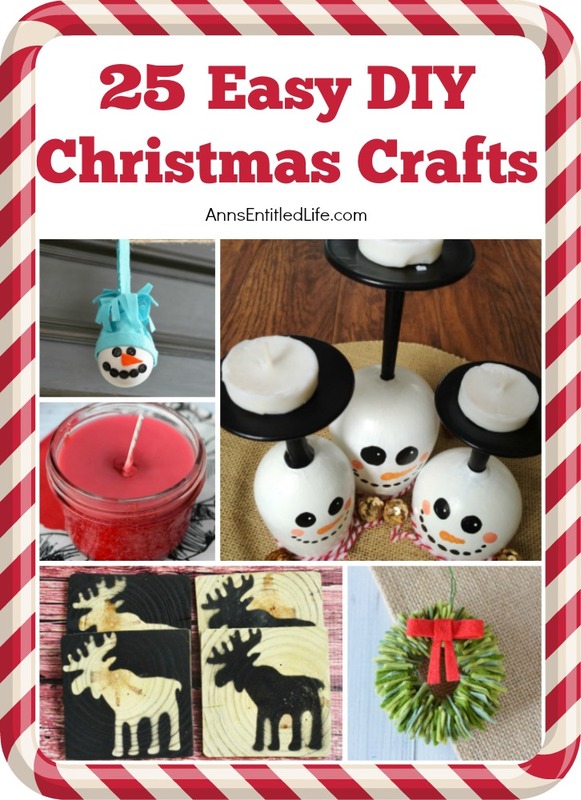 There is still plenty of time for you to make and decorate your home with fun, and easy DIY Christmas crafts! Thank you ever so much very beautiful crafts and I like that I can do with my kids.